You may not be aware that our little couture house also has a wonderful selection of ready to wear wedding gowns, perfect for the eco-conscious, budget led, yet style focused bride. All are available from our new “E commerce” website where you can order your gown to be shipped straight to you! We will be adding more designs to the collection next season to accompany the dresses, which include the best selling “Abbie” Dress originally designed as a bespoke brides maids gown in emerald green for my wonderful friend Abigail. We have sold many bespoke versions of this dress as both bridal gowns (in silk or organic cotton sateen) and bridesmaids dresses (in bamboo and cotton sateen) but our ready to wear gown is even more popular, cut just perfectly to skim and flatter every figure using organic fair trade cotton sateen and wild golden peace silk, with just enough train and so easy to accessorize to suit your day (we have had brides wear with a faux fur bolero in winter, with our Rhea cape, on its own accented with beautiful flowers, cut off to tea dress length and the sash tied in a variety of ways) making this popular dress unique to everyone who chooses it. Do take a peek at our other bridal and bridesmaids designs available now, and any out of stock items can be ordered and delivered within 12 weeks (usually within 6 and of course we will keep you updated). Despite not coming to the atelier for this service one can order as many dresses as one likes (at no extra cost for postage or packing) and try them all, which ever don’t fit or are unwanted can be sent back to us for a full refund. Also on our new website is the incredible range of hand crafted peace silk scarves, perfect for Mother of the Bride or bridesmaids (or even for oneself) gifts. The Lucina Puro collection is a timeless assortment of hand crafted accessories created by some of our beloved and favourite artisans. The scarves are hand woven using the finest harvest of wild eri (peace) silk from the forests of Assam, by a hand weavers co-operative in eastern India. The prints are applied by our master Kalamkari printers in Andrah Pradesh who have developed and perfected a natural dye process that is environmentally friendly, vibrant and uses the local natural resources. We have had our very own blocks created in our signature peacock and deco swirl designs to ensure our beautiful adornments are unimitable. 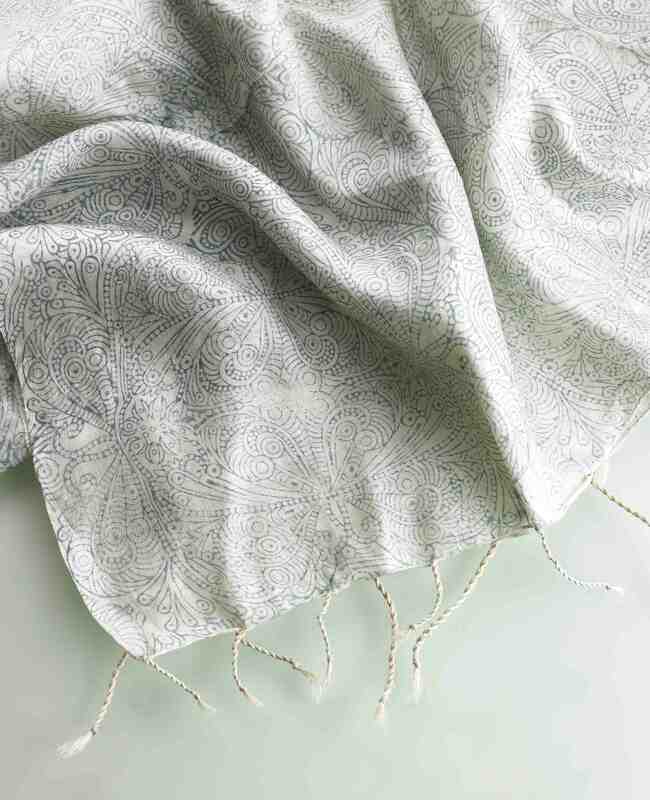 As the print (or embroidery or detailing) is always applied by hand, each individual item is completely unique and one of a kind. 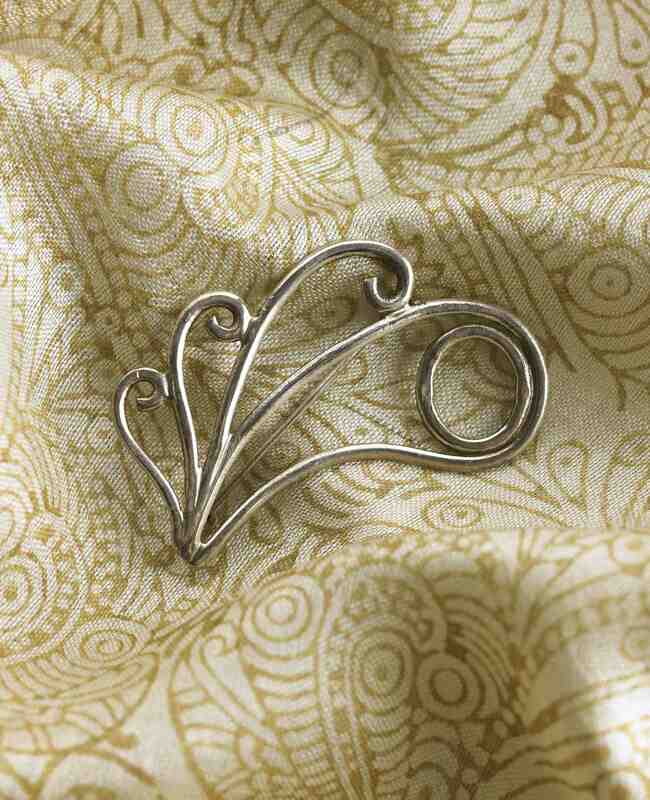 The collection also accommodates a range of deco silver wear crafted by artisans in Kathmandu, Nepal. So for those who can’t stretch to a bespoke couture gown, or if you just need a little bit of affordable decadence in your life, rest assured the Tammam ethos, quality and luxury is always intrinsic to every collection. Of course we would love to see you at the atelier, but understand not everyone can make it to Bloomsbury. Well after the mayhem and chaos of last week I would like to turn our attention to a very serious situation. This world is overflowing with fashion victims. No, you see these people have a choice, they decide to be victims of trends, styles and overbearing colours and they even quite enjoy the attention. The victims I refer to are in quite another part of the world and they aren’t lucky enough to be able to prance around at fashion parties complaining that their Cava is not Champagne and their feet are hurting. Recent reports of two enormous fires at garment factories in Pakistan, leaving over 300 people dead are just one example of the hidden victims of the fashion industry. As someone who travels frequently to India to work with fair trade clothing manufacturers and apparel production units I am certainly aware of what are considered “good” conditions in the developing world, and I assure you “good” in India is not what anyone in this country would call even vaguely attractive. Its not just the sweat shops that are destroying good honest people of this world, the raw materials too are causing massive problems. Pesticides cause health issues and often death in rural farming communities and the debts that farmers accumulate due to pressure to buy pesticides account for thousands of suicides each year. 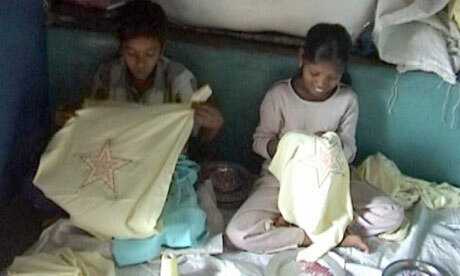 Child labour of course has been widely publicised, and while I personally feel this issue is more complicated than yes or no (many families rely on their children assisting with the family trade and said children also need to learn their trade) why on earth should a child miss out on education to be paid a pittance to sew a few sequins on a T-shirt that will be thrown away after a few weeks of sitting in a wardrobe when the buyer relises it is crude and ugly, and they only bought it because it was cheap? So in honour of all the real fashion victims of this word we have decided to take some pictures of people in their most fashionable, and ideally ethical attire to salute the people who are not able to help themselves at the moment. We are working hard here – promoting organic, fair trade and sustainable fashion, encouraging people to buy with a better knowledge of where there product comes from, who made it and what it is made of. A little jolly to encourage us all to make sure we are the only fashion victims in this world, don’t you agree? 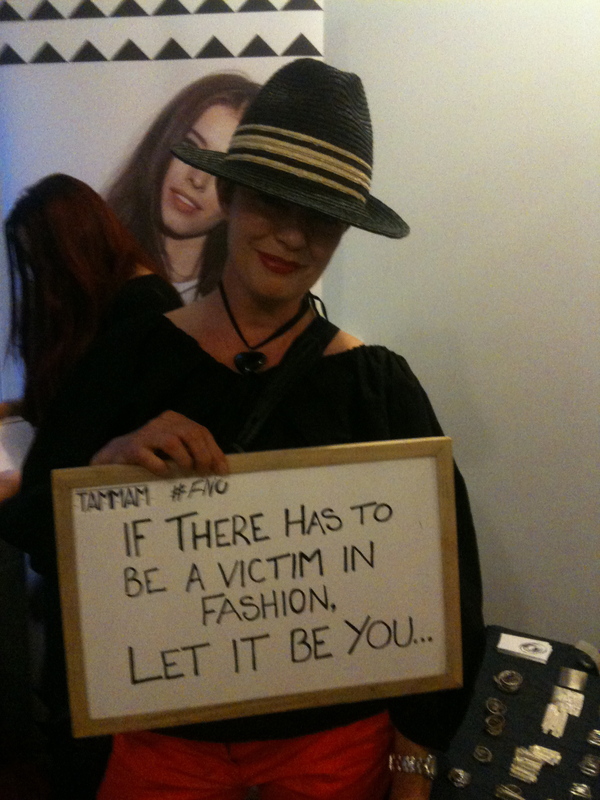 To see all the victim images from our Fashion Night Out party take a look at our fashion victims blog. We are getting rather excited! 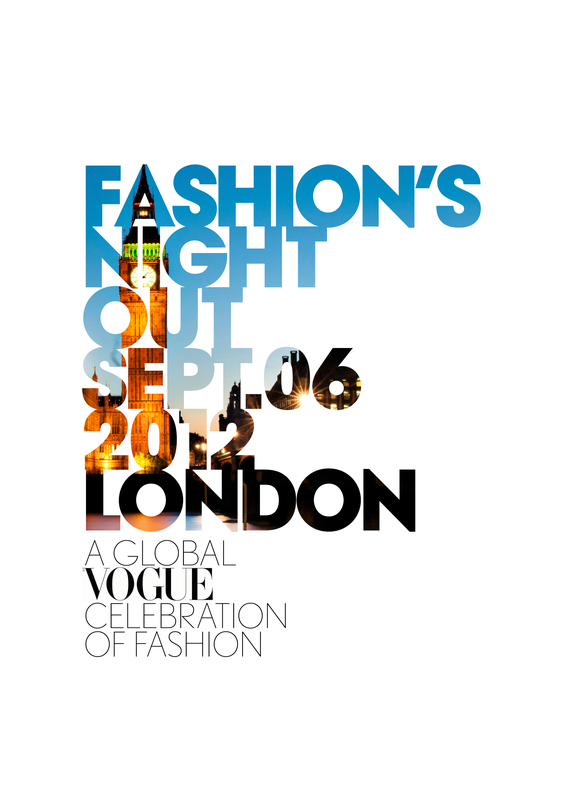 See us on the official Vogue FNO listing page here…Scroll down on the right to Atelier Tammam. Yes I know we are a little away from the action. This is why we have arranged for the brilliant Green Tomato Cars to offer a taxi shuttle service for just £5 (or £15 for a group of 4 booking together) they will whizz you to Bond street or Covent Garden to catch up with the rest of the Fashion Night Out action. And if you are in town but want to come to an all together more civilized, friendlier, greener bash, full of people with a little more meat on them they will bring you to us for FREE! You need to let me know first (info@tammam.co.uk or call 020 7617 7512) and its first come first served between 6pm and 8pm. Of course our Fashion’s Night Out will be the most sustainable, ethical, eco (and probably friendly) party of the night. As well as a line up of fabulous shopping opportunities and special offers from Linnie McLarty the incredible sustainable silversmith, Who Made Your Pants? who will be airing their very very clean smalls in public and exclusive discounts on our very own peace silk scarves from the Lucina Puro Collection, we have some fabulous entertainment from Johnny Zero and a soundtrack mixed exclusively for us by glamourous retro DJs The Broken Hearts. We are also offering hair and make up make over sessions by Suedey and Kitty’s Vintage, styling advice and on the spot alterations and repairs. As ever we wont let our guests dehydrate, with delicious Sailor Jerry’s or a glass of bubbles to wet ones whistle…accompanied by our favourite PopChips and truly scrumptious Conscious Chocolate treats. Vogue Fashion’s Night Out is a giant fashion party to encourage brands to meet and party with their customers while encouraging more shopping and commercialism. While we wholeheartedly agree with the sentiment, and can’t wait to meet some of our customers who we don’t get to see face to face, we are not trying to push yet another pointless product on anyone, if anything we want people to come away from our FNO party thinking if they actually do NEED to buy all these desired products. Can you re-style your current wardrobe instead (ask Veronica), can you alter and adjust those things that don’t quite fit or are a bit broken so you love them again (ask Nanna) can you accessorise with some fabulous Jewelery that will last forever (ask Linnie) or a timeless silk scarf that is trans seasonal and able to transform your outfit depending on how you wear it (ask me) and can you invest in some British made pants that look and feel fantastic (ask Becky @ WMYP? ).